Last edited by SarkhanMad; 07-26-2015 at 05:21 PM. I have had some fun with the combination of Batman-World's Greatest Detective and Robin- Circus Star. If you can keep your bag moving, it's a great way to continually generate life and run Robin's through your opponent. Edit: I need to learn how to read again sorry SarkhanMad. A few ways to go about this, but I'm gonna be "tricky" and go with Bruce Wayne and Acrobatic Adolescent with Blue-Eyes White Dragon and maybe Iceman as support. Basically the gist is to loop AA Robin with Blue-Eyes MD global to reduce the cost of any dice by however many Bolts you happen to have at a time. Since we're running BEWD-MD, let's run one more character that loves to be recycled and someone to help produce bolts. This provides a decent amount of support in the form of removal and energy conversion. Speaking of energy, since we run a double mask source, let's make use of the closest thing we have to a staple in DM. All good, but wait! We still need a win-con! Luckily, I have just the thing in mind thanks to AA Robin's binge-recycling. Basically, you get Red Dragon and Beholder out, use Beholder with Red Dragon active trigger to use Anger Issues twice, granting a +3A +3D twice for a total of at least 15 Overcrush damage with Red and Beholder alone. Throw in Red Dragon's global and Breath Weapon, and you wind up being 1 damage short of OHKOing someone at 20 life. And let's not forget there are two flex slots to use here as well ^_^. Last edited by ELC1847; 05-28-2015 at 02:51 PM. World's Greatest Detective and Boy Wonder. I second this nomination. WGD and BW FTW ASAP. OK, I've made the selection for our Dynamic Duo. How about some ramp for getting The Bat??? I'm thinking a 2-3 cost character. If you're going back in terms of sets, it has to be Beast-Mutate #666 or Psylocke-Kwannon Assassin. I would go Beast of the two because of the possibility of drawing when he blocks as well. However, if you're going with the DC set, Zatanna- Zatanna Zatara is a very good card. Or, if you're really going to build Batman-Robin all the way (villains as well), get some Harley Quinns in there and pair them with the Joker. Of these, I think Beast is the #1 choice (plus he gives solid defense) followed by Zatanna. If going cross-set, might as well say PXG is already there. In which case, Psylocke is better than Beast. But, Zatanna fits the Batman theme nicely. Why is Psylocke better when running PXG? because she has a "when fielded" effect? and therefore you will be cycling her in and out more often than Beast? Since we are using the retaliation Batman, does Zatanna become our pick, or are we looking elsewhere for JL... Aquaman? I would certainly recommend Zatanna. 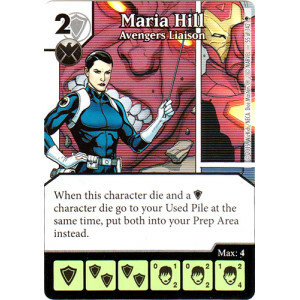 She gives you the Retaliation, but also the life gain from Batman since you would want to field her as often as possible to prep some dice anyway. Yes, all sets are eligible... even YGO! Yeah, I definitely like the contrast of Zatanna-Batman: He gives you life when you field her and she takes life away from your opponent when you lose him. It keeps an interesting dynamic of shifting life. Partly that, but mostly because when using PXG you shouldn't be keeping anything in your bag, ever. And, sometimes it's wise to wait to PXG after blockers are declared. But if you block with Beast, then you have to draw. And if your bag is empty, then all the dice in Used go in to the bag. Before you get a chance to PXG any SKs over to Prep. If you ran that with Red Tornado - Android to prep your action die and polymorph to keep Red Tornado's level consistent you could cycle magic missles pretty quickly and get health for it. Last edited by systemskill; 06-07-2015 at 01:23 AM. Even if you aren't running the recursive Robin, I still suggest Blue-Eyes White Dragon - Monstrous Dragon for a reliable KO->Prep Engine and Cost Mitigator for characters and nonbasic actions. Also, there are a few options available for mask sources for PXG, but I personally suggest Storm - African Priestess over Psylocke - Kwannon the Assassin, if only because the used pile takes more resources (time and/or energy) to get out of than the prep area. Add BEWD MD because you can field zatanna, then KO her, and if you have batman active, then you get retaliation. Maybe Imprisoned to help our almighty Bat-powered Robins connect? What is the build so far? yes. that's the build so far. TO make Batman even more useful? Presumably you mean to make Robin better, not Batman? We have our win-con (Batman and Robin, perhaps with Maria too) out, but we need a way to get at least Robin, and possibly Maria, and/or Batman, also, through to hit our opponent.